Let the customer know were you are, with a helium balloon! They can see your business from up to 3 miles away! 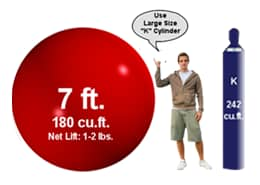 Our Helium Spheres are the ultimate in small and large Business Advertising. 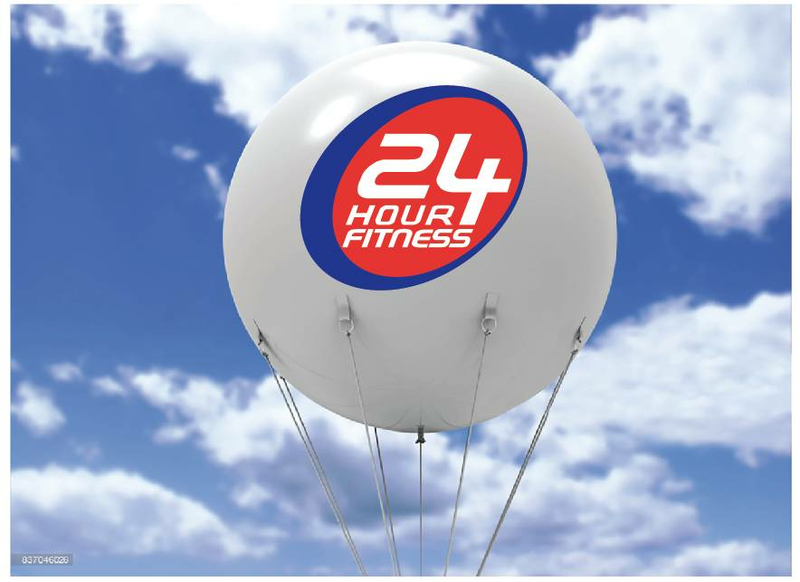 All giant round advertising balloons are made of durable PVC and manufactured with a UV inhibitor in the material throughout the entire balloon to protect them from fading from the sun exposure. This specially manufactured closed cell material is designed to hold helium perfectly and is 18 mil thick, ideal for outdoor used and much stronger than the lighter urethane material from other brands. Designed to be reused over and over again when taken care of! Helium products require to be top off every 3 to 5 days , in order to keep them looking firm! 7ft needs 210cu Ft Helium. Stand 7ft in diameter and has a net lift of 5 pounds inflated, winds up to 15 mph, Rain will add weight to the sphere, decreasing stability! 10ft needs 523cu Ft Helium. Stand 10ft in diameter and has a net lift of 14 pounds inflated, winds up to 20 mph, Rain will add weight to the sphere, decreasing stability! Best Quality in the country, 100% Satisfaction Guaranteed! Ready to ship in : 7 to 10 business days.